Home Africa Biafra Nnamdi Kanu Opinions World News Biafra: Crude Oil In Biafraland, A Blessing Or A Curse? Biafra: Crude Oil In Biafraland, A Blessing Or A Curse? Without crude oil in the Biafra region, Biafraland will be referred to as a landlocked nation; But this same Natural resource has done us more harm than good. Because of crude oil in Biafraland, Britain merges Biafra with Oodua and Arewa landlocked nation together in 1914 not minding the outcome which we face today. Because of crude oil, Britain through Nigeria committed a Genocide(war crime) against Biafrans by starving them to death(from 1967~1970) just because they asked for their freedom. Because of crude oil mainly in the coastal region of Biafra which they call Niger Delta, Nigeria with the backing of Britain have sworn over their dead bodies never to let Biafrans go. Because of crude oil, The eastern region(Biafraland) was divided into two by the northerners; They created south south as a cardinal region out of the eastern region just to make sure they maintain their dominion over the crude oil in today's Niger Delta. Because of crude oil, The so-called Niger Deltans swore never to be part of Biafra with their Igbo brethren, stating that The Igbos are coming to take their oil. Because of crude oil, Oil producing communities are being carved out of Igbo heartland to other states just to render Igbo landlocked. Because of crude oil, Igbos are being subjected to marginalization, dehumanization, and are killed on daily basis just to make sure Nigeria remain one. Crude oil has done us more harm than good. Many mentally ill individuals especially Nigerians said "Biafra cannot make it without crude oil; In fact Igbos are agitating for Biafra and at the same time wants to impose Biafra on the so-called Niger Deltans because of their oil; Owing to this senseless fabricated lies, many idiots from the coastal region sworn never to be part of Biafra. Biafraland is blessed with many natural resources which when combine together supersede that crude oil. Glass Sand found in Akwa-Ibom and Cross River; Glass sand is suitable for glass making. Natural gas, found in Imo, Cross River, Abia, Anambra, Akwa-Ibom and Enugu region of Biafra; Natural gas is a fossil fuel used as source of energy for heating, cooking and electricity generation. It is also used as fuel for motors and etc. Zinc, found in Abia and Imo. Limestone, found in Imo, Cross River, Akwa-Ibom, Enugu, Bayelsa, Abia, and Delta region of Biafra. Coal is also found in Cross River, Igala and Enugu; It's the largest source of energy for generation of electricity worldwide. Palm Fruits found everywhere in Biafraland; Palm bunches are used in the production of brooms, Oil from palm fruits is used for cooking, cosmetics, etc. Bauxite which is found in Anambra and Enugu; is the world main source of Aluminium. Salt is found in Ebonyi, Cross River, and Akwa-Ibom; 99.9% of world population consume salt in one way or the other. Finally, Crude oil, which is the particular Natural Resource which Nigeria has because of, sworn and signed not to let Biafra free. It's found in Anambra, Abia, Imo, Cross River, Rivers, Igala, Bayelsa, Delta, and Akwa Ibom. Brethren, Biafraland is blessed in all ramifications; Other resources you can find in Biafraland are Iron ore, Tar sand, Industrial stone, Igneous rock, Lead, Calcium carbonate, kaolin, Uranium, Iron, Tin, Arable, Ceramic, Rubber etc. The myth that Igboland is landlocked, and they are agitating for Biafra is because of the oil in the coastal region of Biafra which they call Niger Delta is a fat lie. Biafra agitation has nothing to do with oil deposit, rather, it's for the freedom of Biafrans from slavery because without oil, there will be nothing like one Nigeria, Neither will there be south south, talkless of Biafrans being forced to remain within Nigeria against their wish. 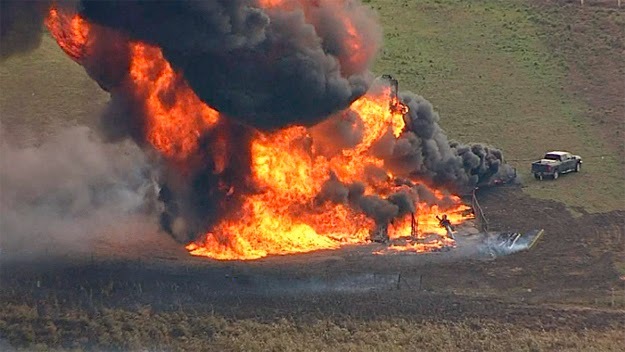 The same oil has claimed many lives and properties on explosion; This same oil when spilled out of the pipe destroy many farmlands, Houses, conterminously destroys streams and Rivers including the aquatic organisms inside the water. 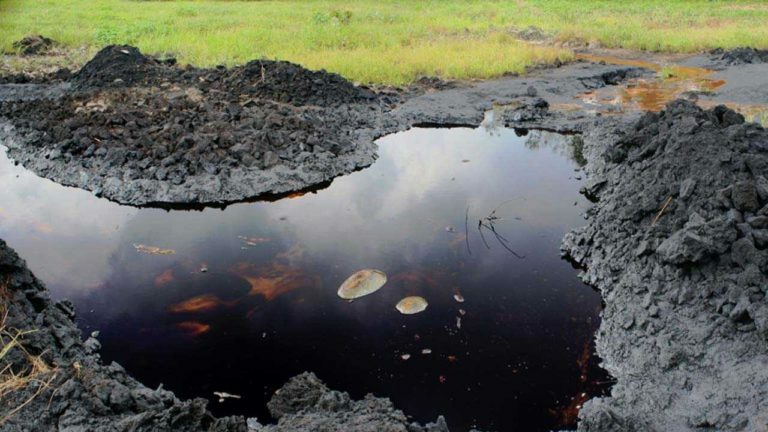 This same Crude oil has increased the number of vandalism within the country. Crude oil has made British and Nigerian government not to understand a peaceful language; Therefore, there will be no Biafra without violence as long as there is still oil flowing in Biafraland in as much as Crude oil keep doing us more harm than good. Edited by Aguocha Chinwendum , Published By Nwaiwu Chiukwuebuka For Umuchiukwu Writers.